View the CWA cartoon "Chained to my PC"
Scare up some fun this Halloween with our great selection of Halloween candles. 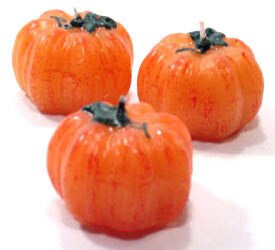 Candles are the perfect way to haunt your house and spook your party guests. 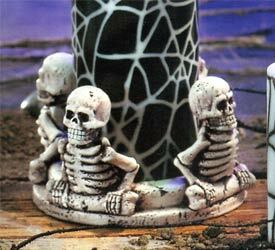 This Skeleton Candle Holder is made of ceramic and holds any standard three inch pillar candle. Candle not included. First-ever The Munsters(TM) Halloween Wreath has Handcrafted Figures, Light and Sound! Exclusive Halloween Decoration! - Welcome to 1313 Mockingbird Lane, home to TV's most lovably monstrous family, The Munsters(TM). You'll shiver with ghoulish delight when you discover this outdoor Halloween door decoration that features Herman, Lily, Eddie, Grandpa and their "black sheep" niece, Marilyn, ready to greet you! Now, you can capture the spirit of this hilarious television classic in this handcrafted The Munsters Halloween wreath. This Halloween decoration even has a motion-sensitive feature that activates the TV show's theme song and illuminates eerie orange glowing eyes and The Munsters logo as you pass by. Enjoy some spine-tingling "Howl-oween" excitement with this first-ever The Munsters Halloween wreath - the perfect addition to your outdoor Halloween door decorations! Available only from Bradford Editions, this limited-edition Halloween decoration or collectible The Munsters gift is covered with spooky spiders, jack-o-lanterns, bats and fabric leaves. Creepy demand is expected, and you wont want to miss out on the fun of this unique Halloween decor! Order now! The party is this way! Creep out your guests with this haunting banner! Rock Out to these Halloween Favorites! A perfect tablecover for your party! Watch out for the monsters! Fresh from the pumpkin patch! BeShore2Sea really unique Halloween items! Get Same Day Delivery on Fall Flowers & Gifts! 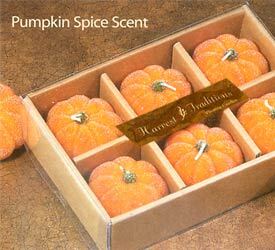 Please see Seasonal & Specials page for more Thanksgiving items.